Aspiring Harare Central Ward 2 Councillor and Independent candidate, Engineer Tawona Mtungwazi wants to change the council narrative from politics to technical saying the era of politicizing urban authorities will soon be over. In an interview with a staff reporte r , Mtungwazi said his intention is to change the council narrative from politics to technical, bemoaning what he said is the politicization of urban authorities without meaningful development. 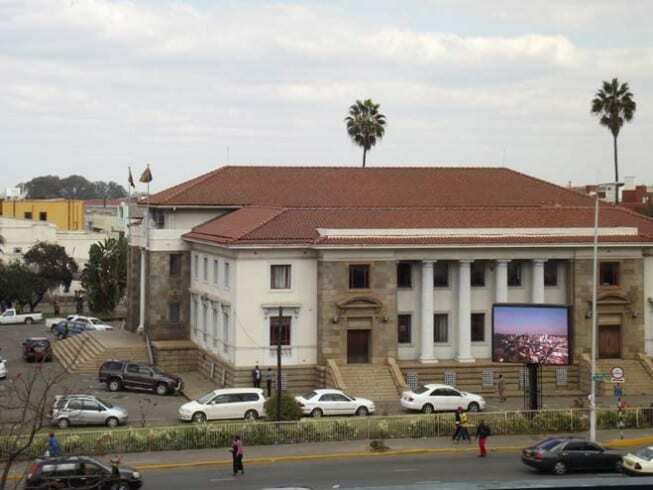 “Council is a technical institution with supporting services including accounts, administration, a bit of politics but its predominantly technical and it has been politicised over the past 38 years” said the aspiring Harare Central Ward 32 Councillor. “We now need to get politics out of council and re-technicalise council and get the technical people to operate council, it being a technical institution, that is the driving in terms of council activities” added Engineer Mtungwazi. Engineer Mtungwazi says the MDC-T run council has failed to develop Harare. “Most of the people who were voted in like the outgoing Mayor Councillor Bernard Manyenyeni said were not educated, its the people who had the boldness to stand against government that was run by the former president Mugabe would be voted in with no capabilities of delivering” said Mtungwazi. “This is why we are in our state, they failed, they would sign off contracts without knowledge of what they were signing on and nothing happened, we’re in a worse off state than when they got in” said the aspiring council candidate. Zimbabwe is due to hold Presidential, House of Assembly and rural and urban council elections on the 30th of July.